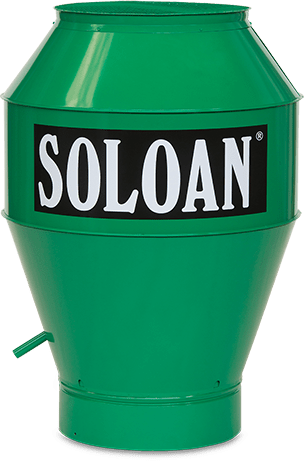 Besides wet coating installations, Soloan also develops and manufactures complete powder coating installations. We give you a wide choice, from a simple powder wall and oven to fully automated conveyor systems. Opt for a powder booth or a powder coating oven. Powder coating creates overspray. The dry powder dust is nearly always extracted using an automatic cartridge extractor installation with self-cleaning filters. We also use this method in welding fume extractor installations.